The HSO is one of Melbourne’s leading orchestras, attracting music lovers from all over Melbourne and even from nearby country locations. Our loyal subscriber base accounts for over 65% of our audience, who come year after year attracted by the quality of the performances, our amazing guests artists, the variety of music performed and the ease of access to our venue. 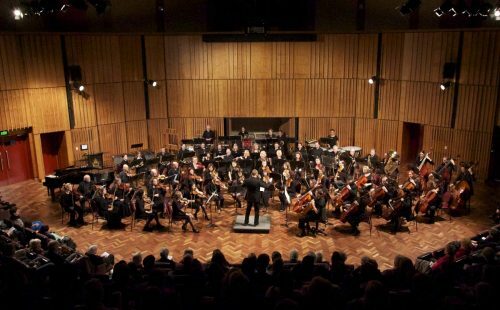 For over four decades, the HSO has been a valuable asset for the Banyule community, not only providing a venue for talented and elite musicians from throughout Melbourne to play, but offering an exceptional series of concerts with easy access for members of our community. Our annual concert series feature a wide range of orchestral repertoire – from classical ballet and opera works to the most demanding orchestral symphonies as well as much loved modern theatre classics. Our orchestra members include university students, instrumental music teachers and musicians of any age who wish to play in an orchestra which follows a challenging and exciting programme. The Heidelberg Symphony Orchestra has toured both nationally and internationally. Internationally, the HSO has toured Austria, Belgium, France, Germany, Hungary, Italy, Spain and the UK, performing in a wide range of cultural venues. Closer to home, it has also performed in Fiji and Singapore. Heidelberg Symphony concerts are recorded and broadcast by 3MBS and from time to time, the HSO produces a CD with excerpts from various concerts. The latest CD produced in 2015 is entitled “Orchestral Highlights”, which can be purchased by contacting us here.